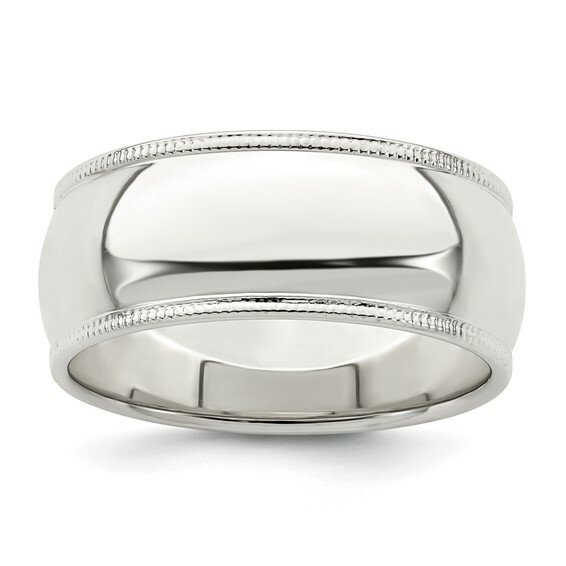 Polished sterling silver oval milgrain wedding band is standard fit. Width: 9mm. Thickness: 2mm. Available in whole and half finger sizes only. Made in the USA.